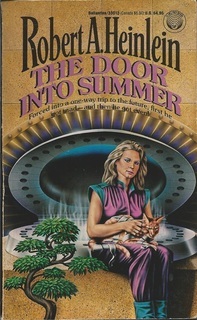 First, of course, adult here is not a euphemism for works of erotica, but instead simply the literal term for novels written for readers over 18 years of age...as opposed to teenagers whose annoying high school librarians, who made their schools’ purchasing decisions, might object to a hell or damn, or the occasionally dark and gritty turn of plot. 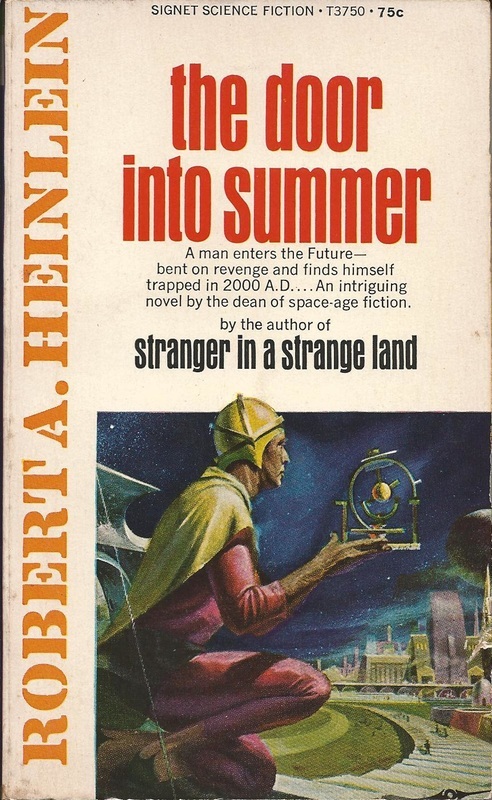 Second, by earlier, I mean those prior to the groundbreaking Stranger in a Strange Land of 1961. 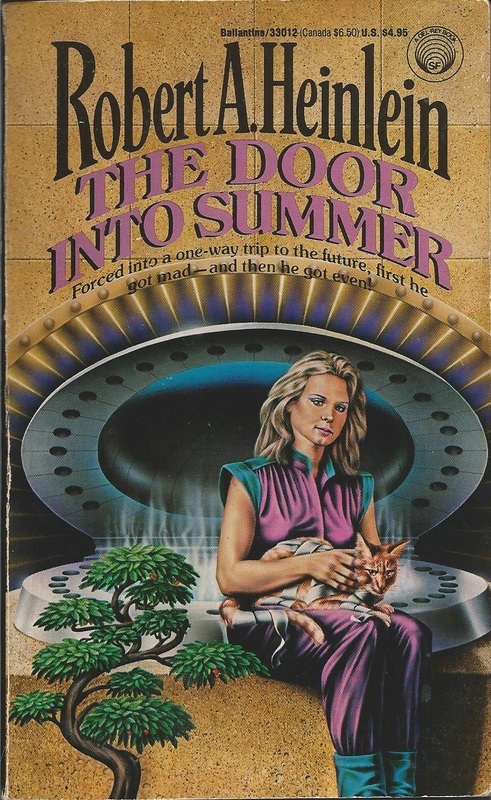 The later adult novels, after all, are much, much different animals. 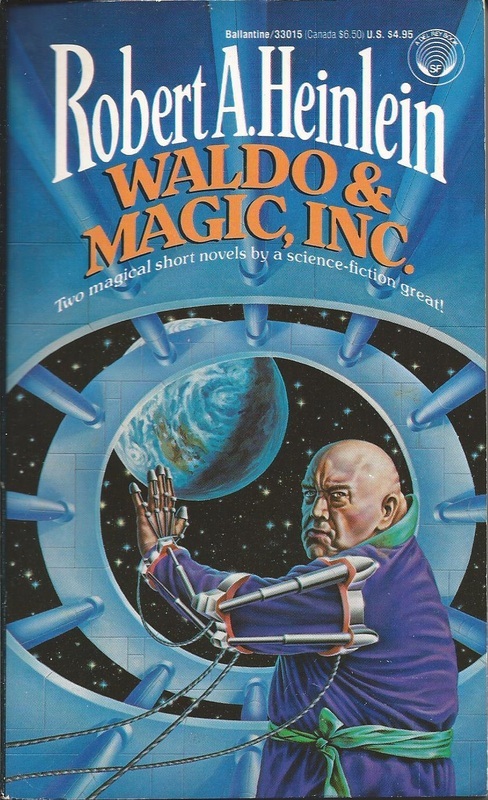 Third, this section generally showcases book-length works each published in, well...a single book. 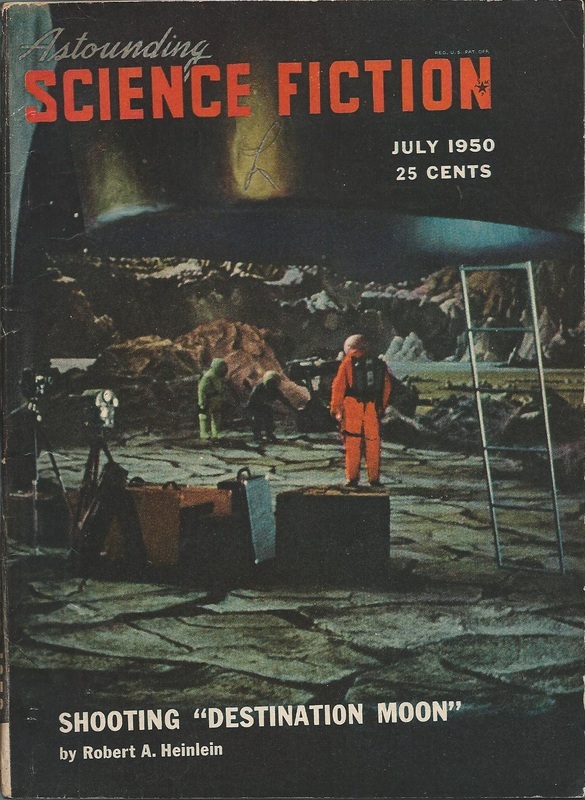 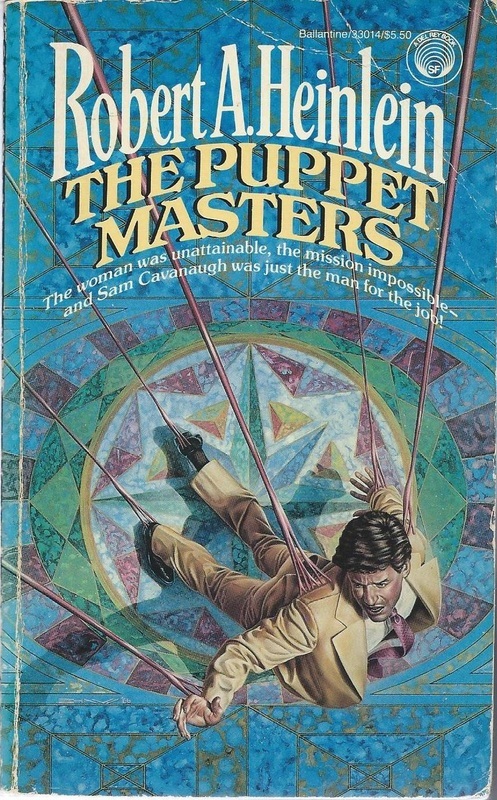 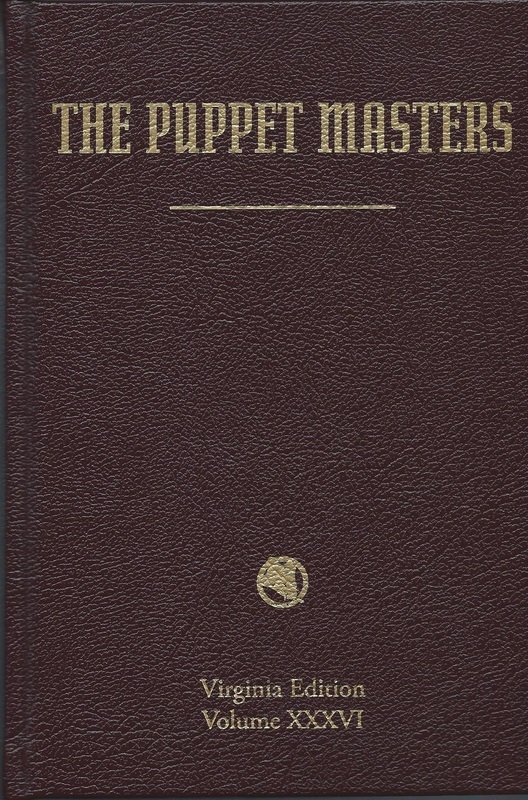 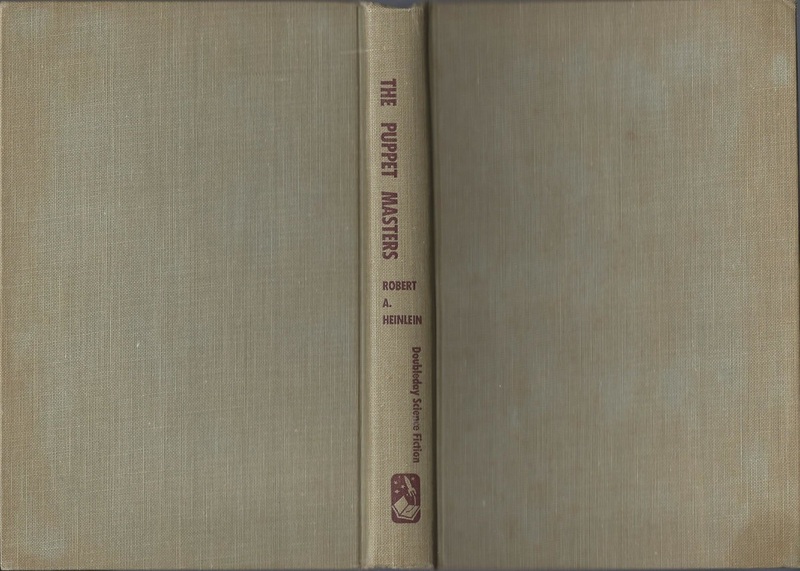 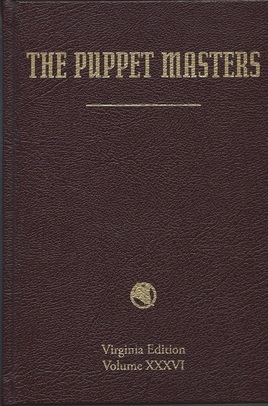 Many tales appeared first in the early pulps like Astounding, often across two or three issues—and those versions thus will appear in “Pulp Magazines”—while some, like The Puppet Masters, appeared first in the smaller postwar SF magazines, appearances which instead are featured in “Serializations.” Here, therefore, we focus on the stand-alone adult books themselves. 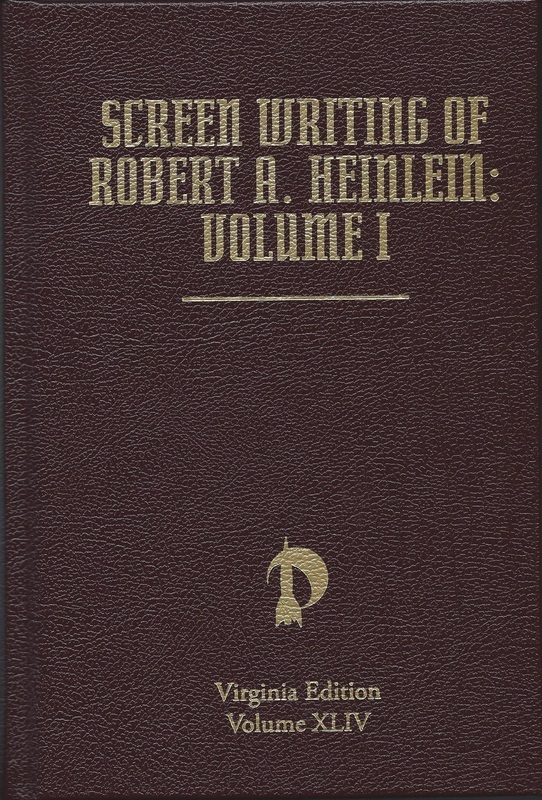 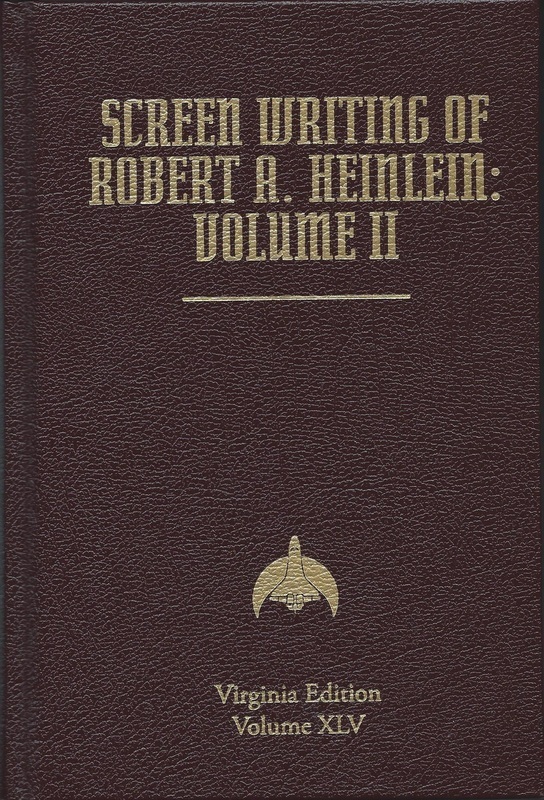 For lack of a better place, however, I also have included the two Virginia Edition volumes on Heinlein’s screenwriting, since they were written with an adult audience in mind. 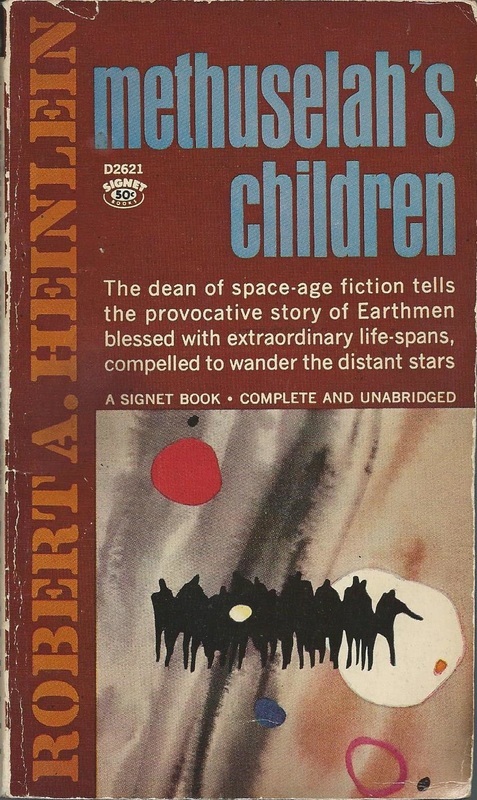 Finally, remember that books in the “juvenile,” or young-adult series, written for Scribner’s from 1947 through 1959 of course appear on their own page instead. 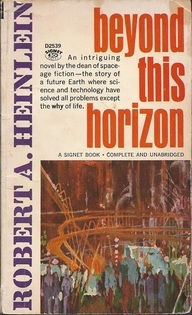 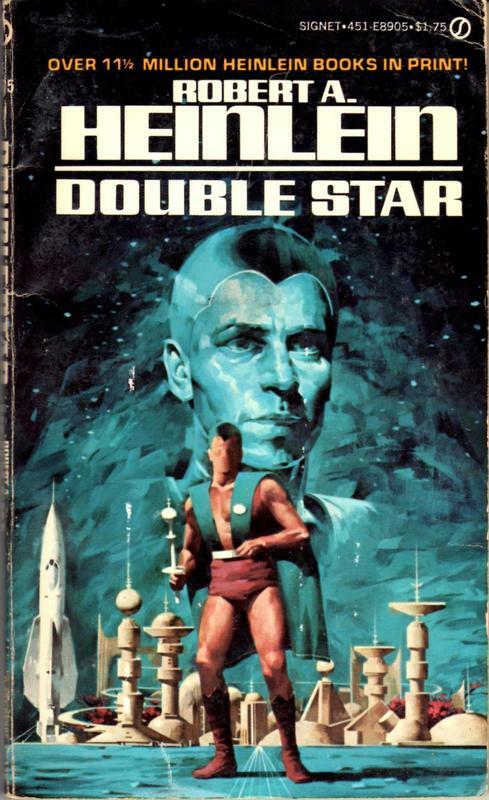 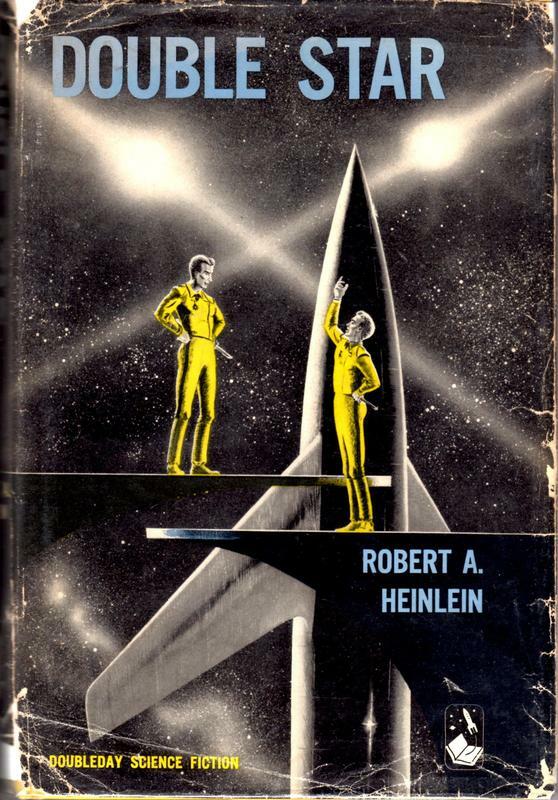 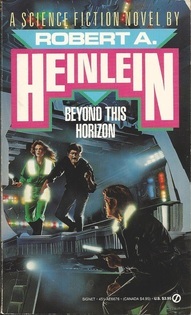 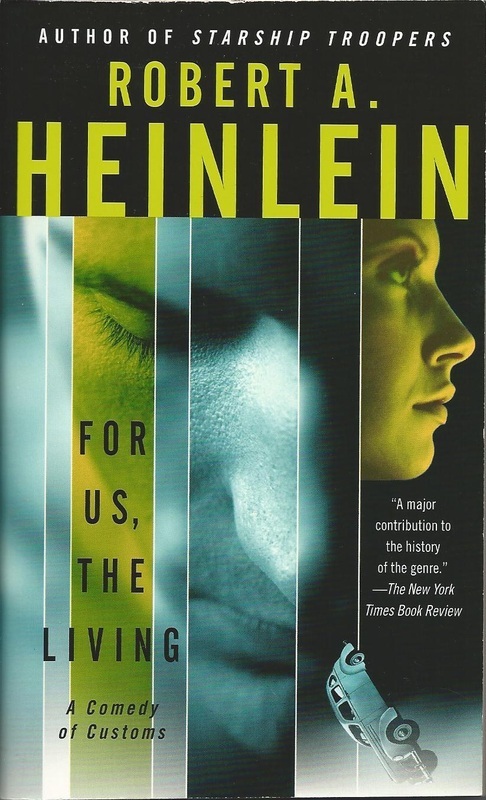 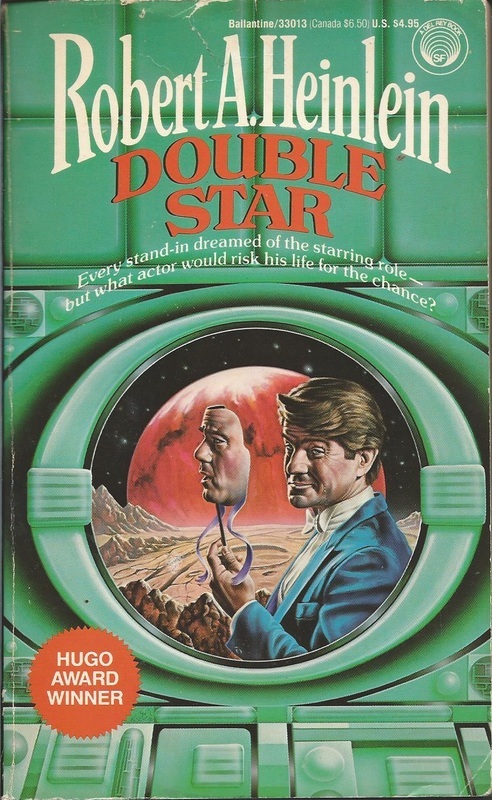 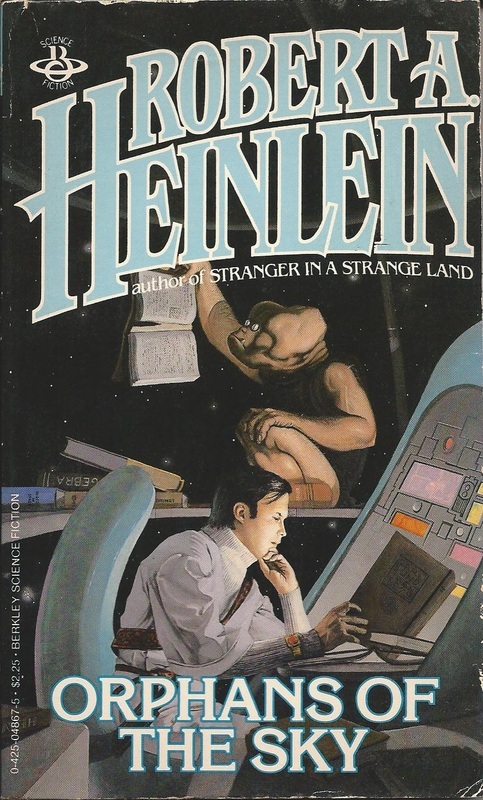 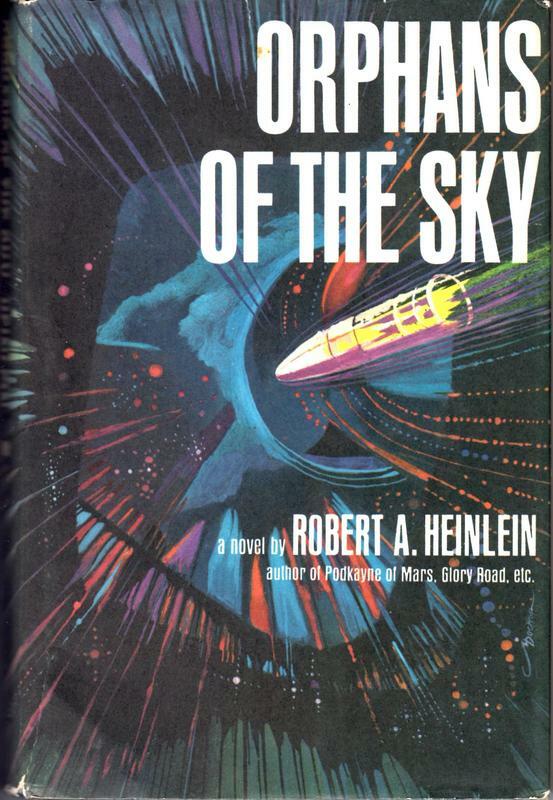 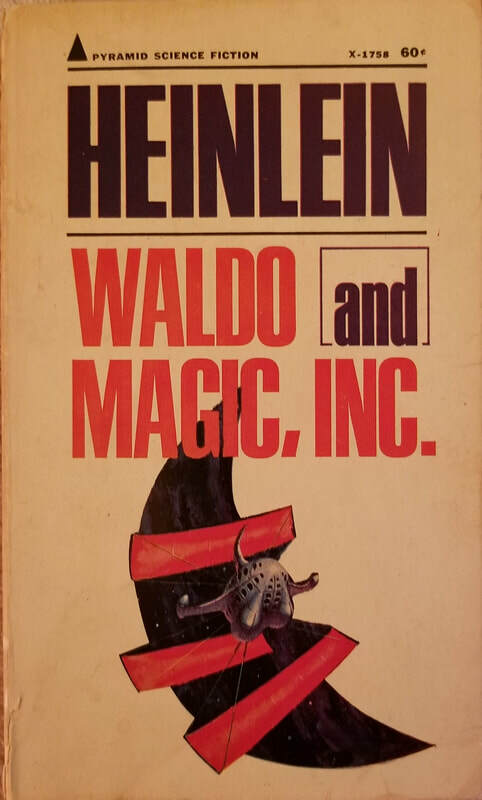 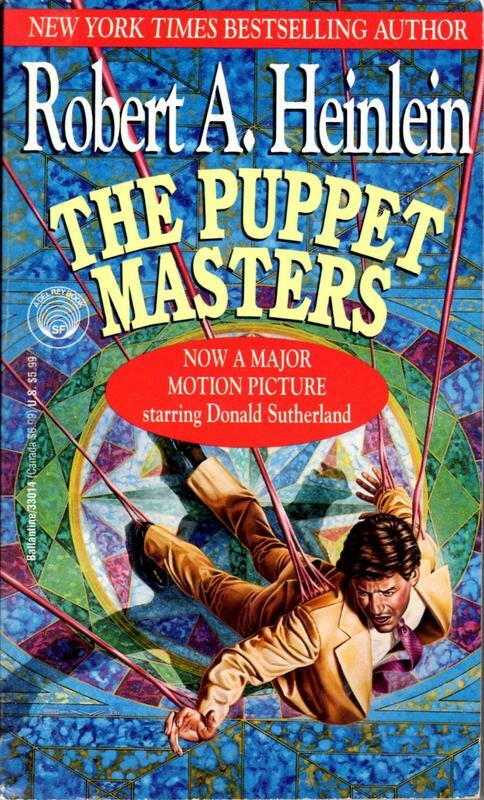 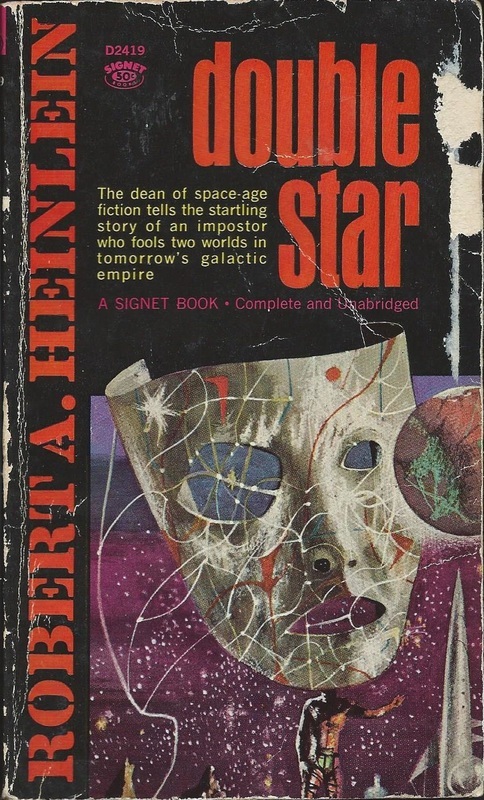 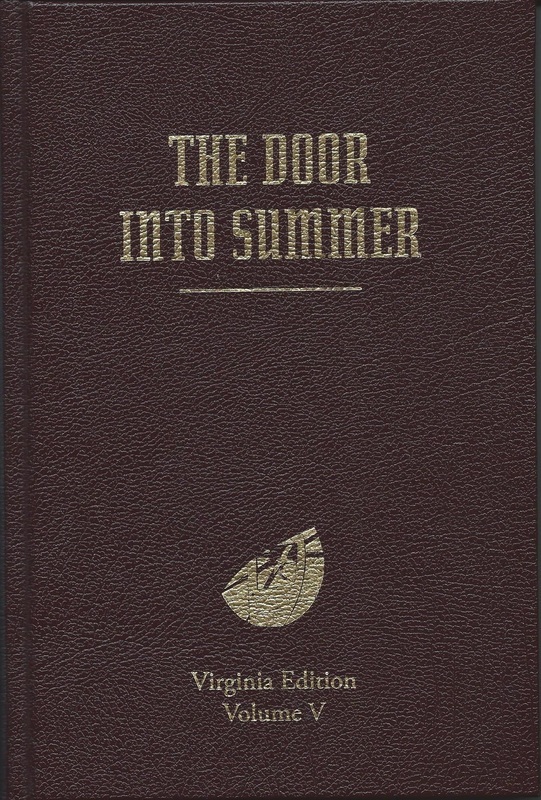 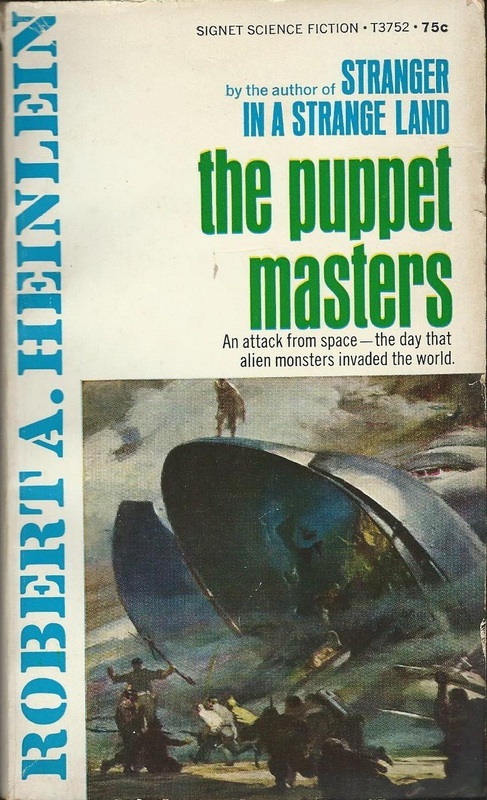 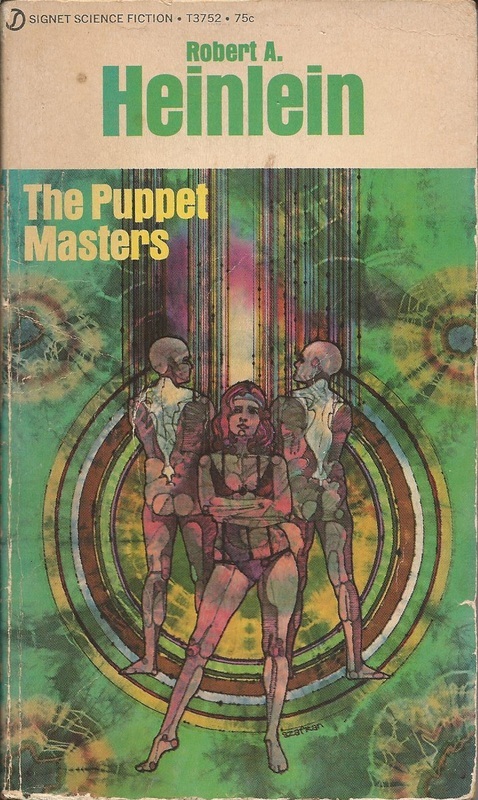 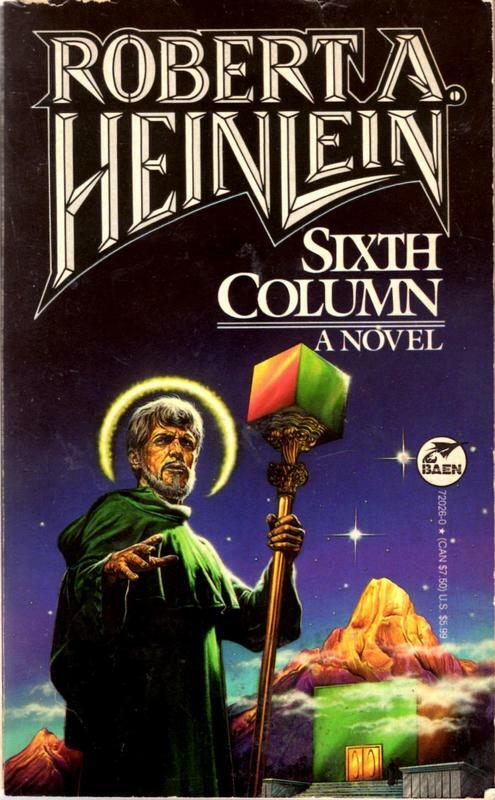 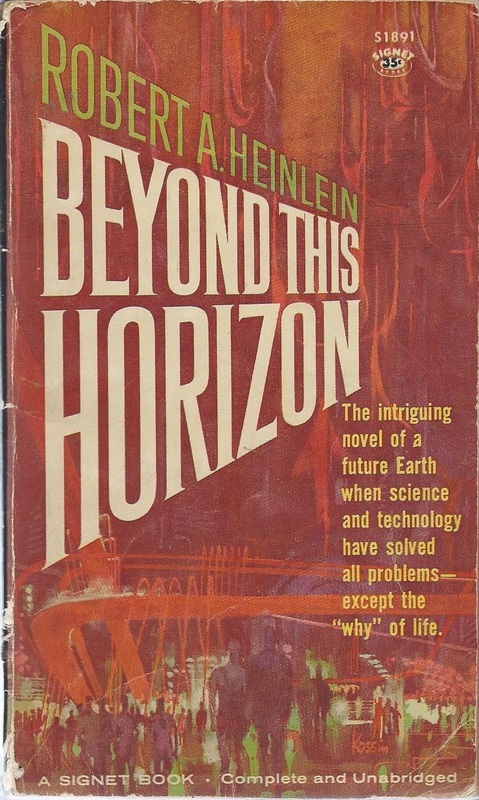 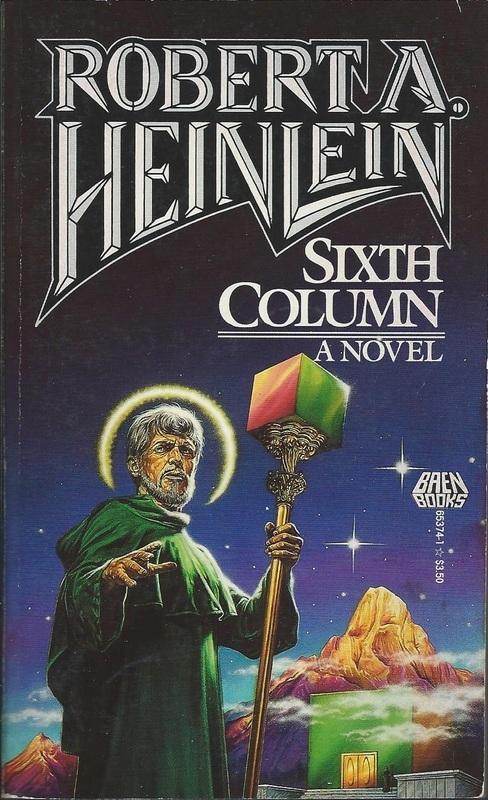 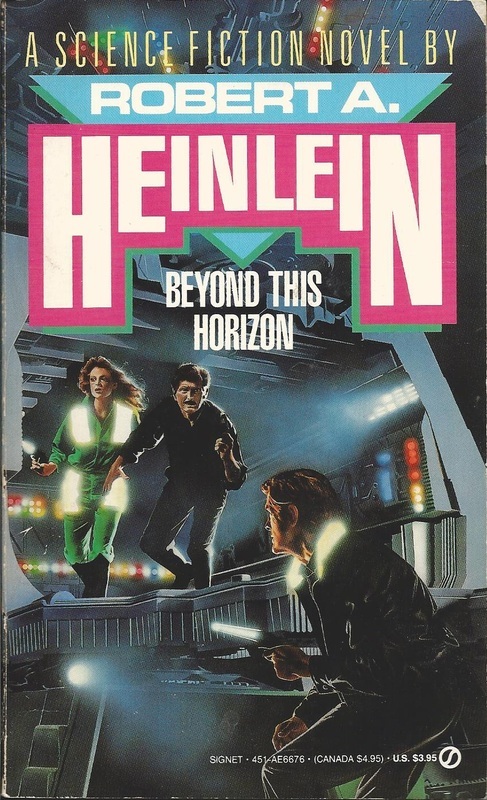 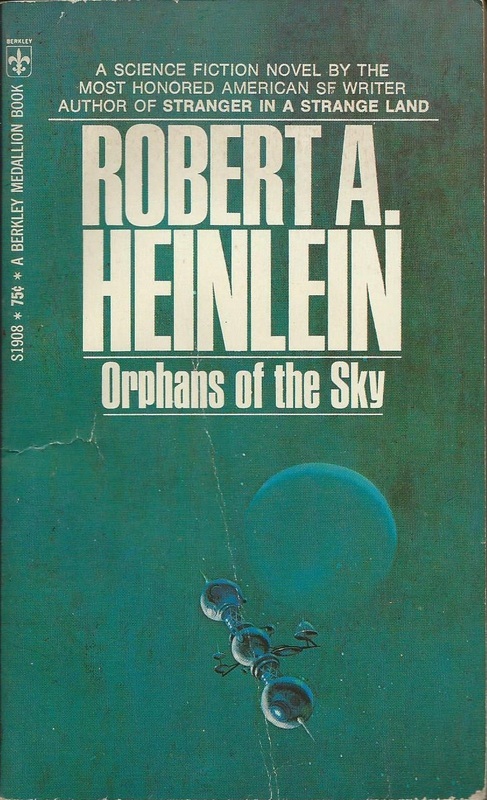 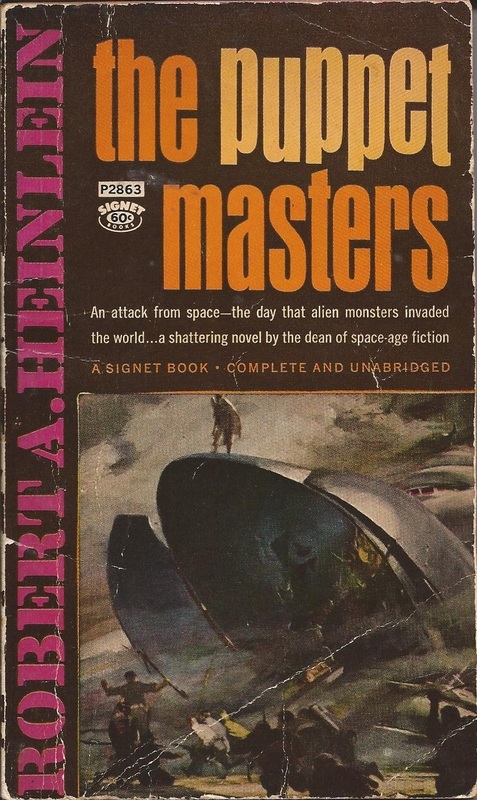 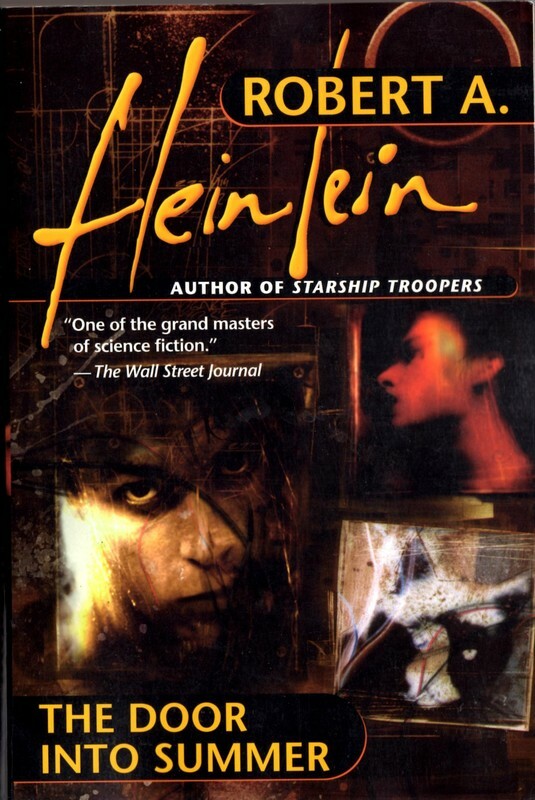 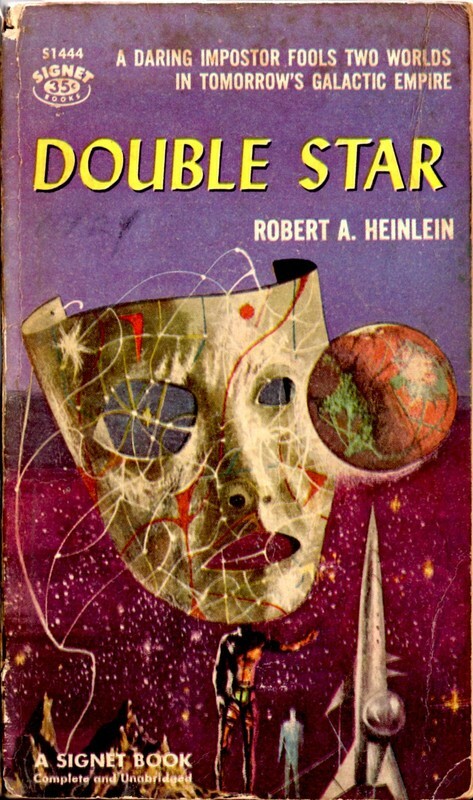 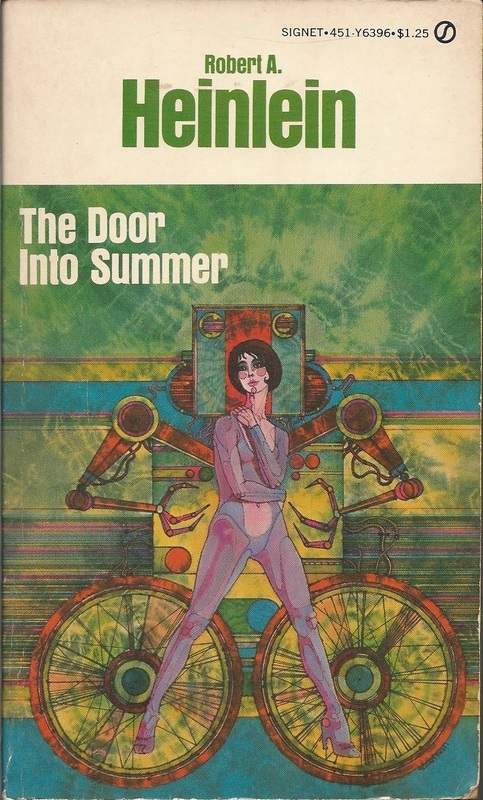 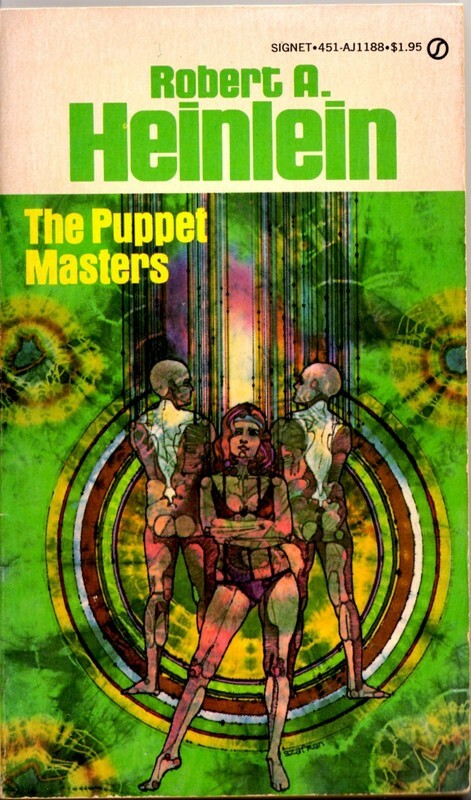 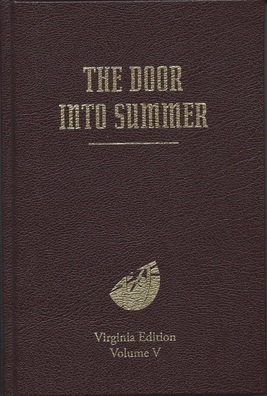 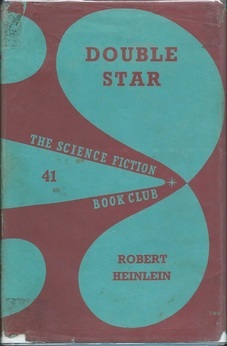 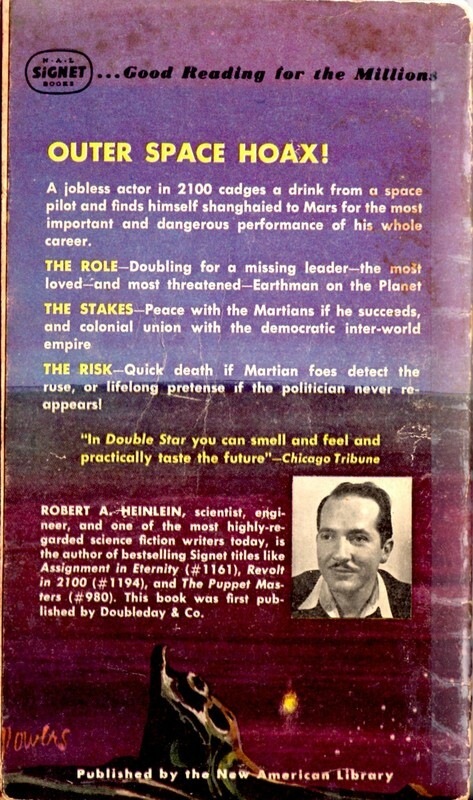 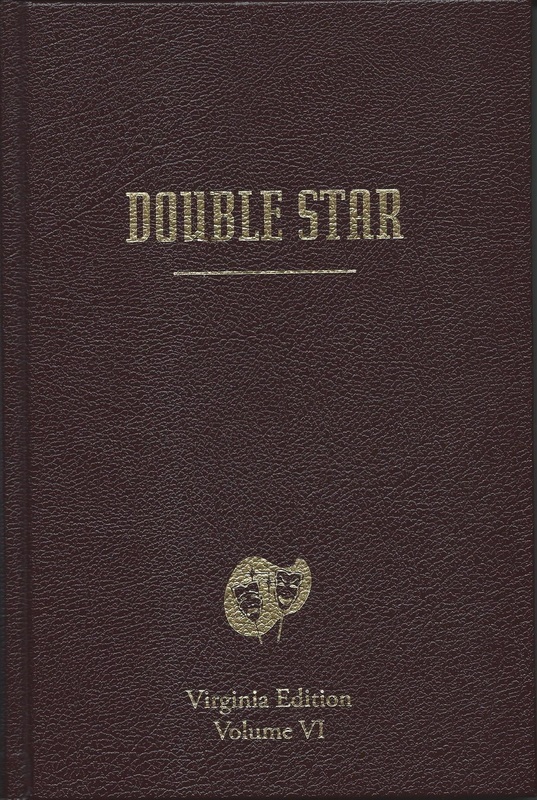 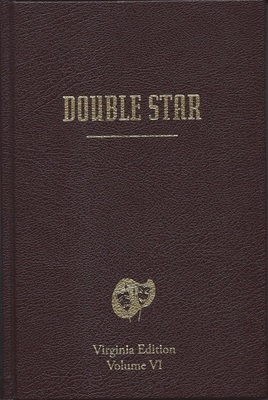 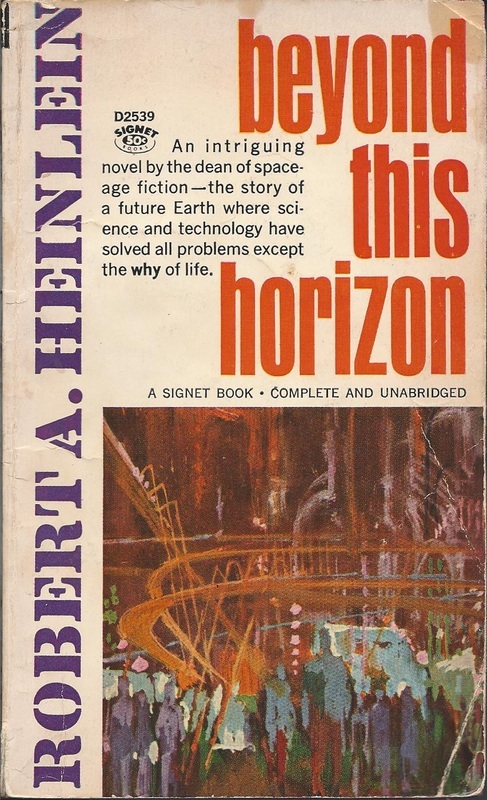 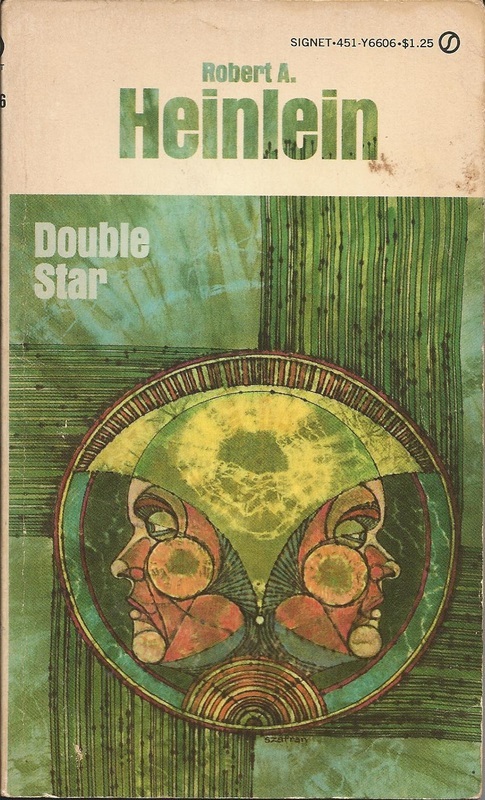 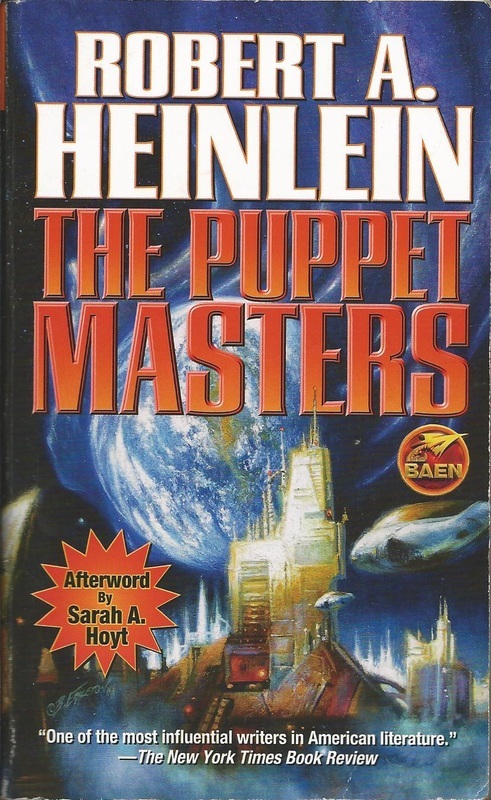 And speaking of the 1950s, by the way, notice here that at the same time Heinlein was writing one YA novel a year for Scribner’s, he also still was working in the occasional adult novel like The Puppet Masters, Double Star, and The Door into Summer—quite a versatile and prolific fellow. 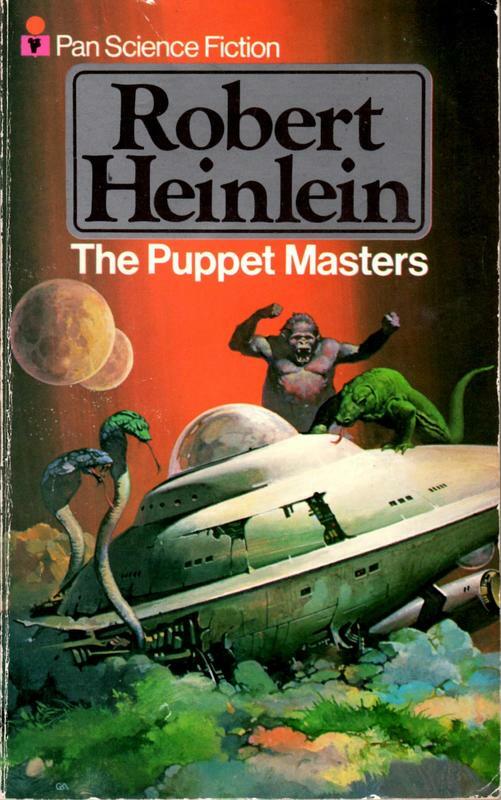 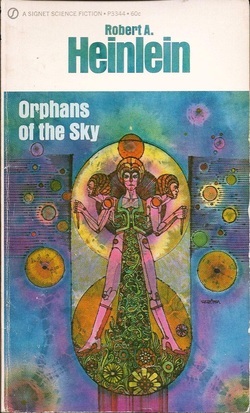 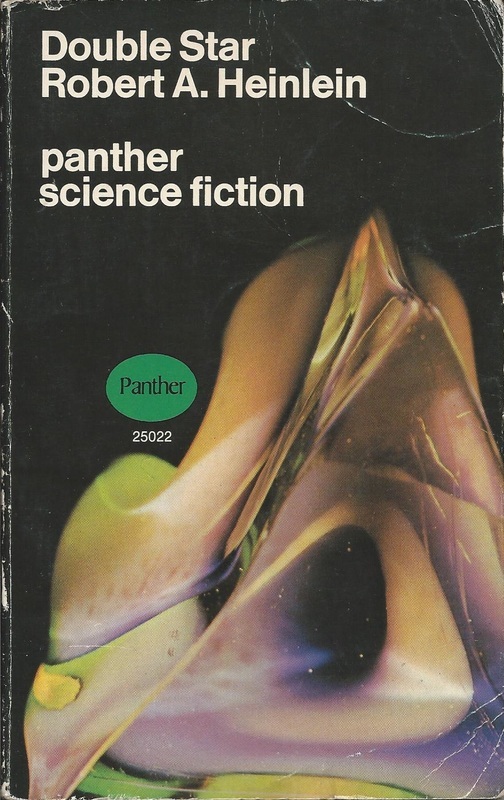 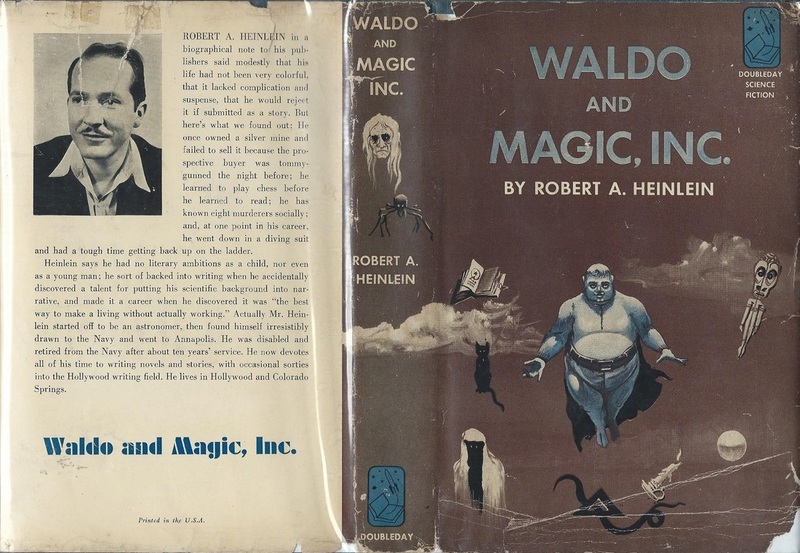 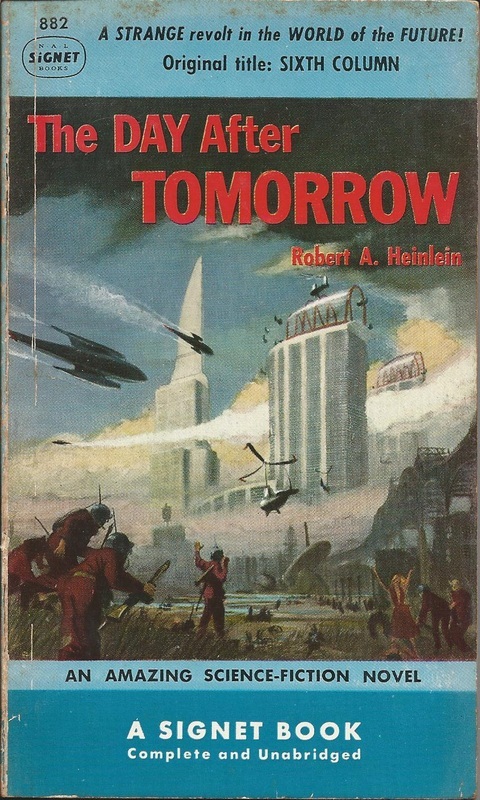 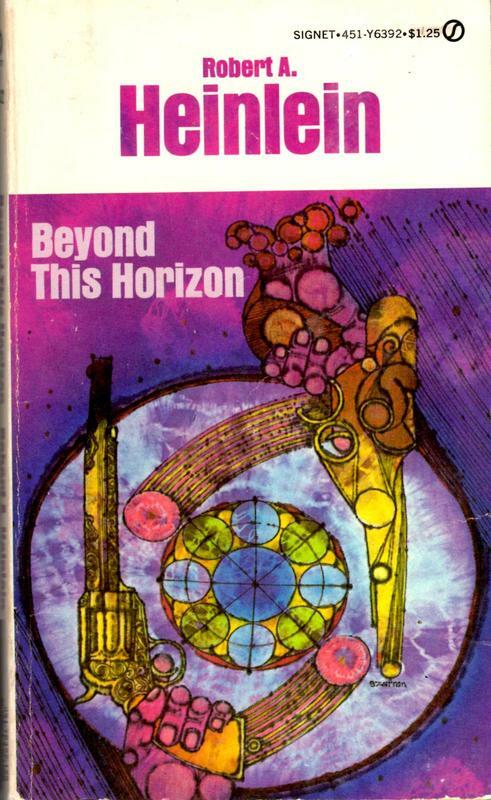 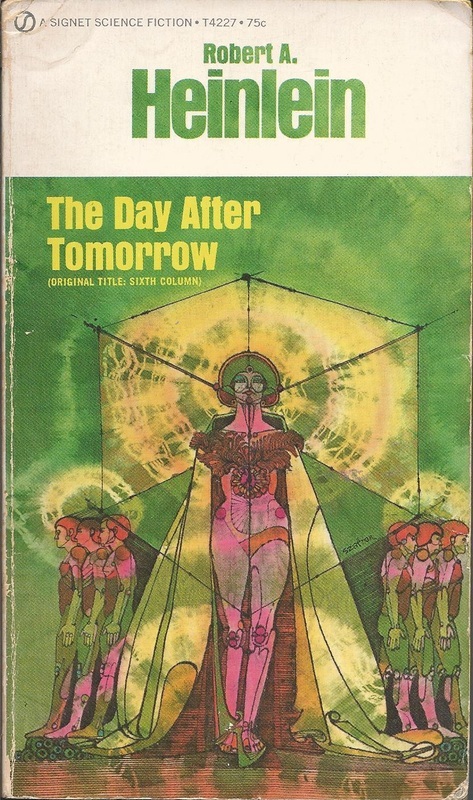 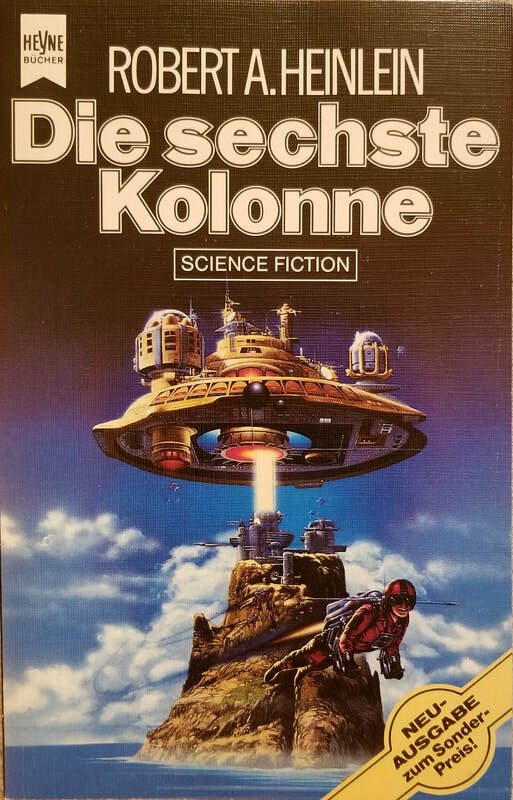 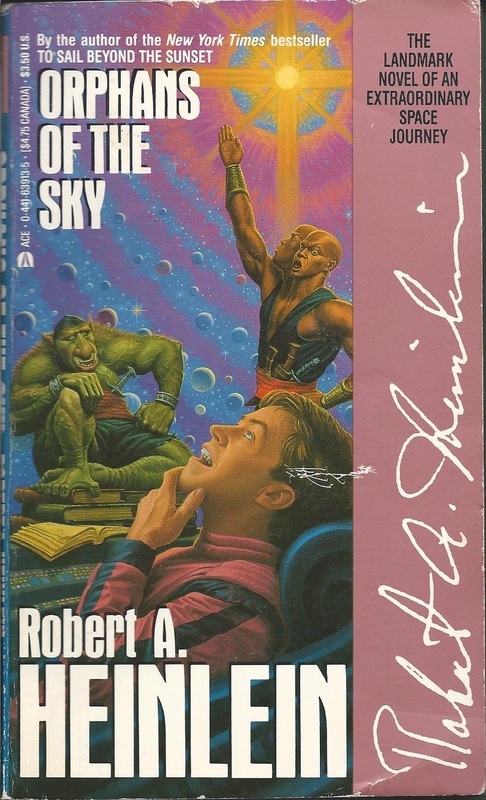 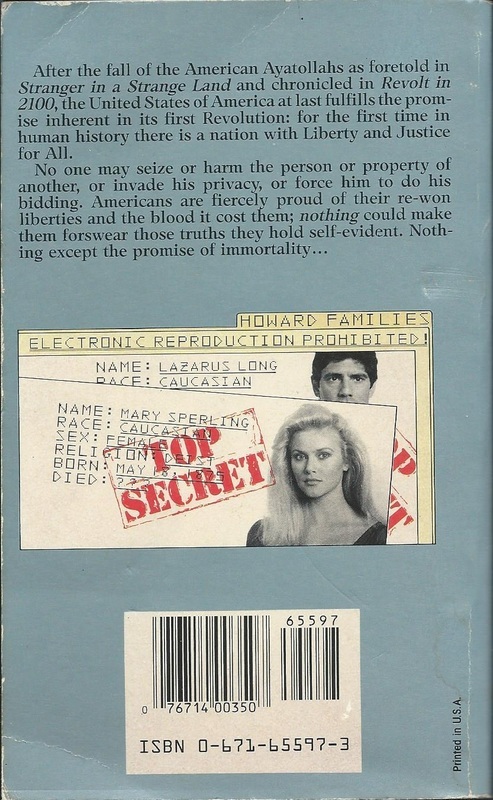 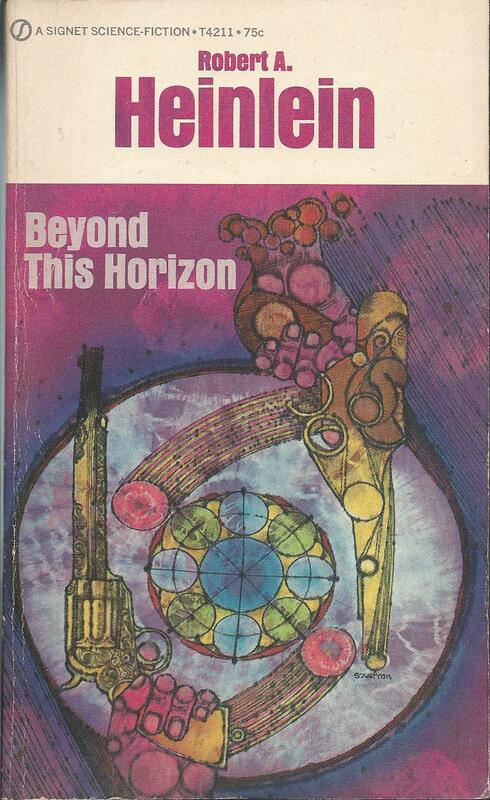 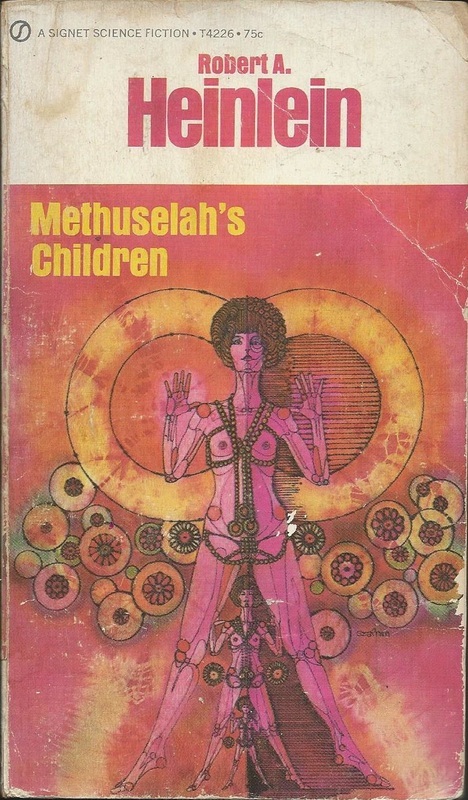 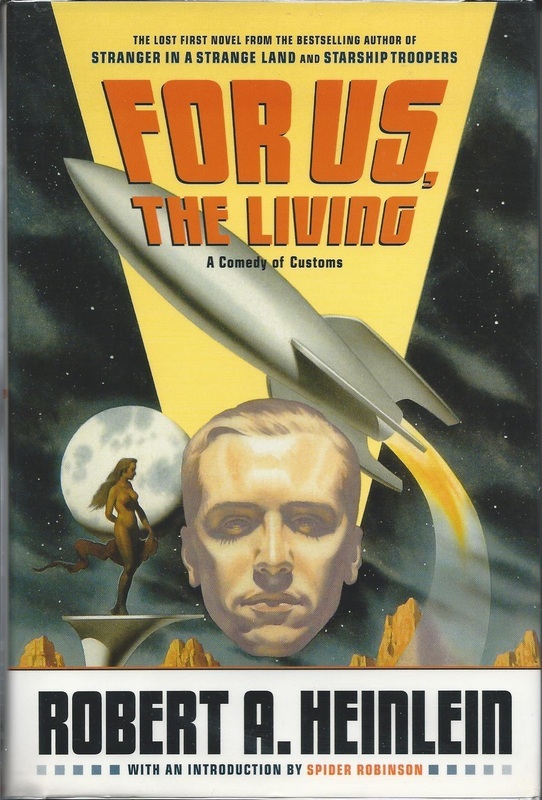 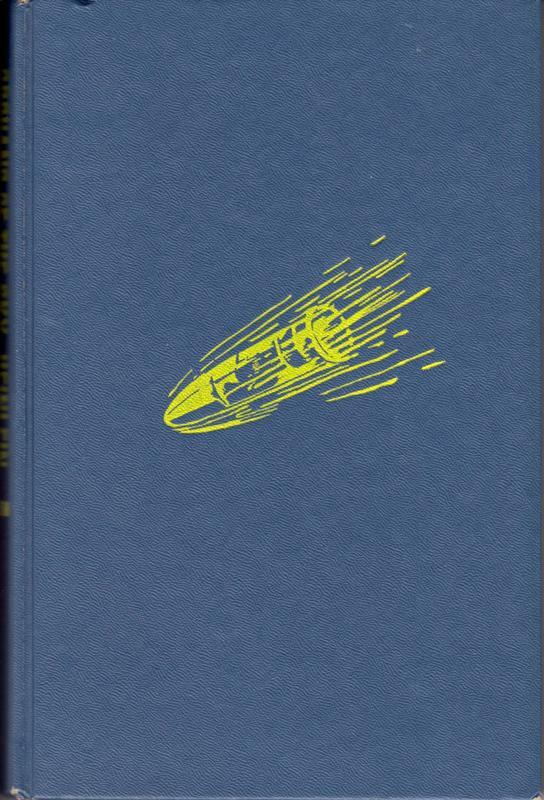 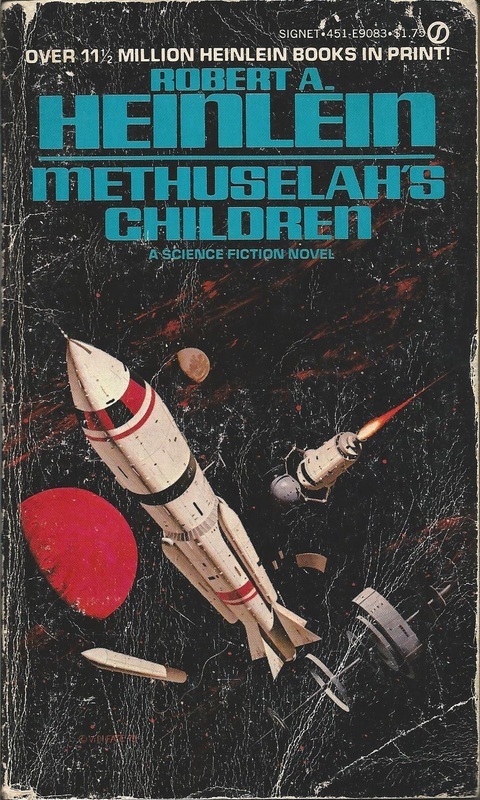 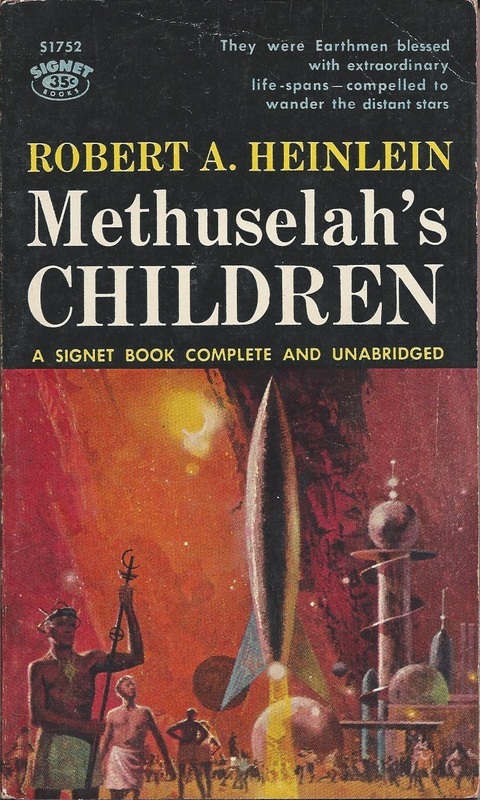 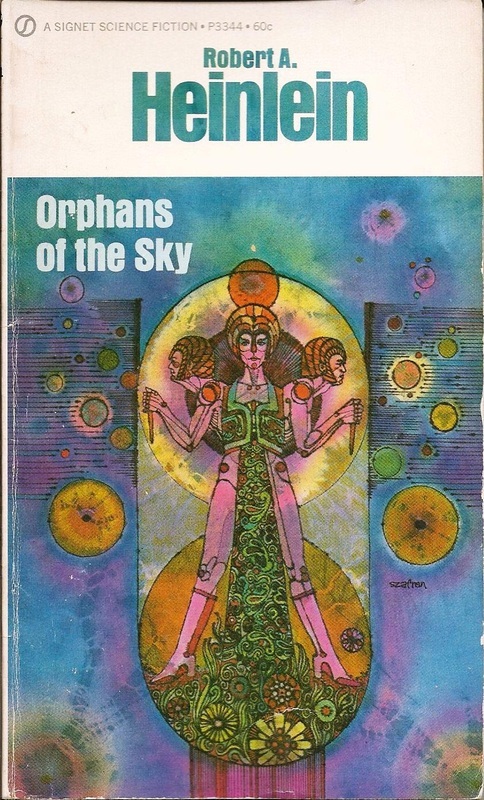 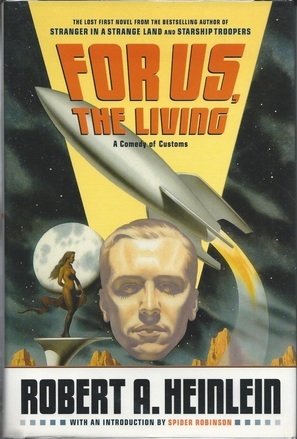 This, Heinlein’s first attempted novel, actually had been lost to history for 60-odd years. 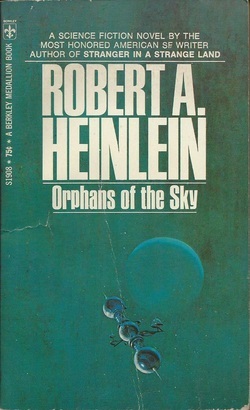 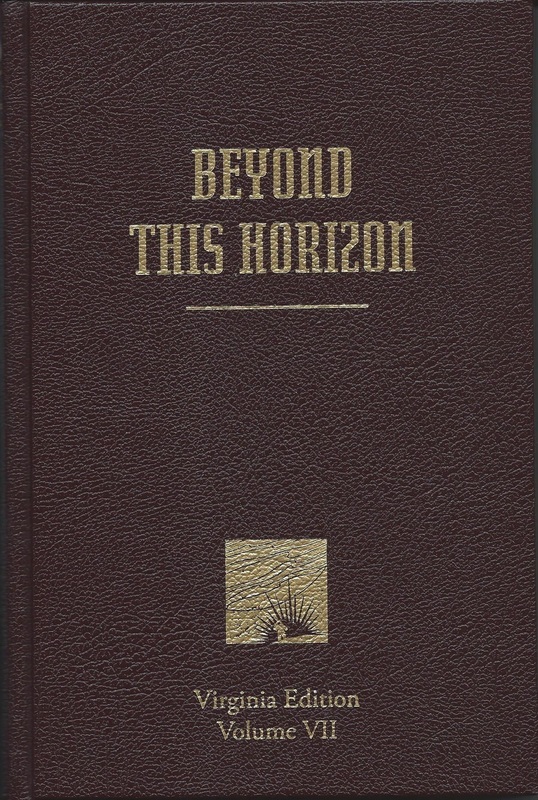 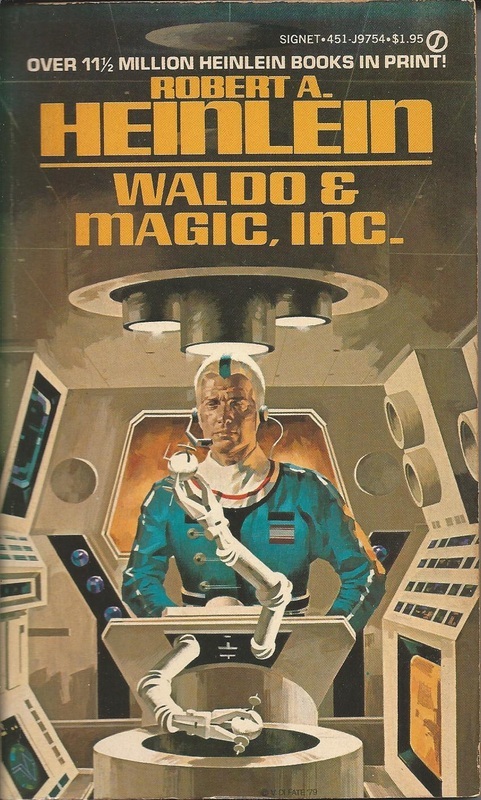 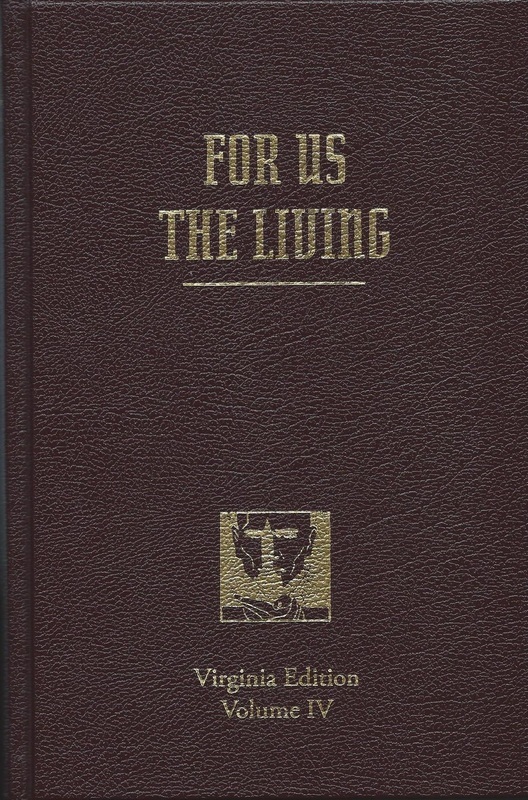 After being rediscovered by Heinlein scholar Robert James, it was published in 2003. For the earlier appearance of “Universe” with Hubert Rogers artwork in Astounding Science-Fiction in May 1941, and “Common Sense” in the October 1941 Astounding with Hubert Rogers cover art and Orban interiors, see my “Pulp Magazines” page. 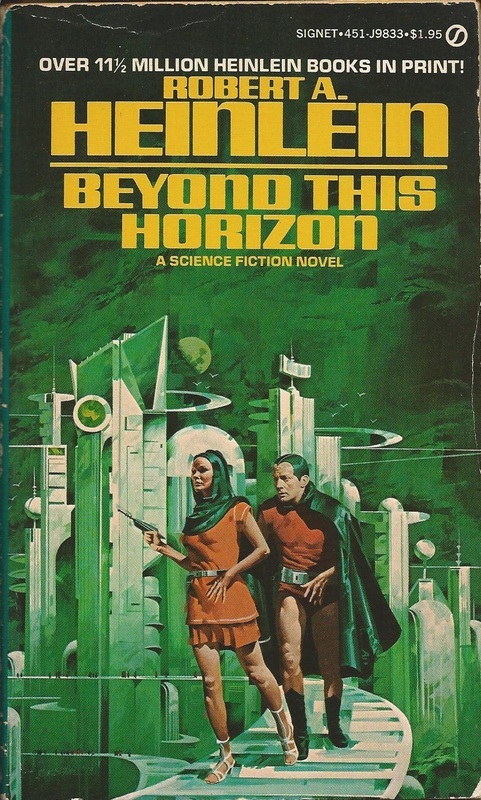 Cover art by Vincent Di Fate—Ah, who could turn down capes, ray guns, and overhead building-to-building ramps? 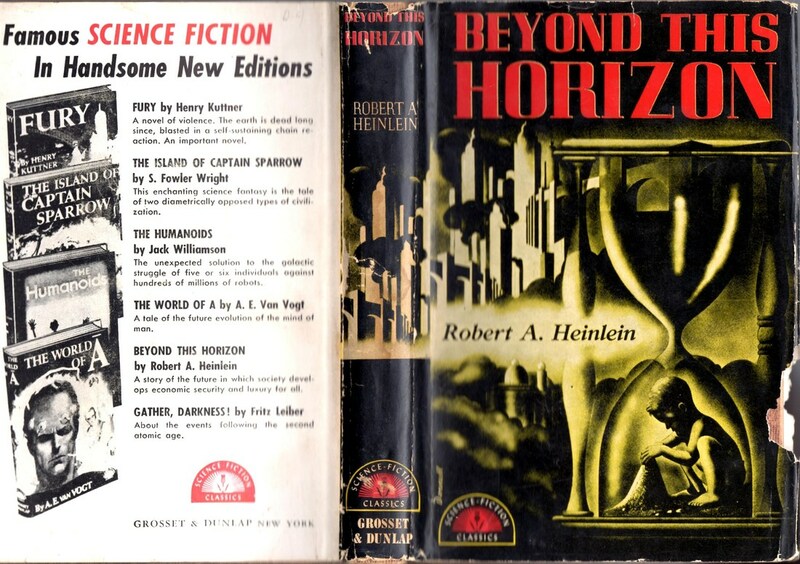 The Hubert Rogers art for Beyond This Horizon when it appeared in the huge Astounding Science-Fiction of April and May 1942 is at the “Pulp Magazines” page. I’m not terribly fond of abstract-photo covers, and to my taste, adding a human face in the montage weakens it further still... 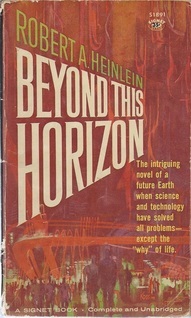 Nevertheless, a good example of the genre. 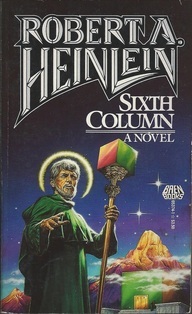 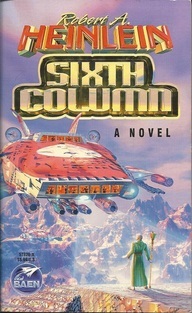 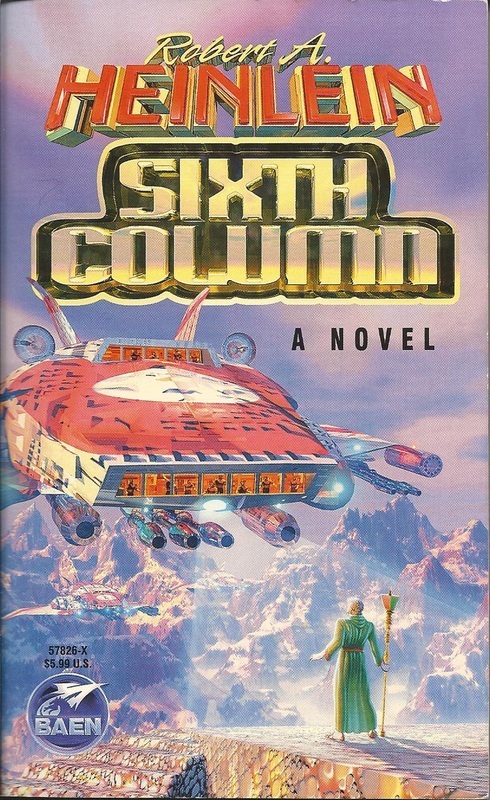 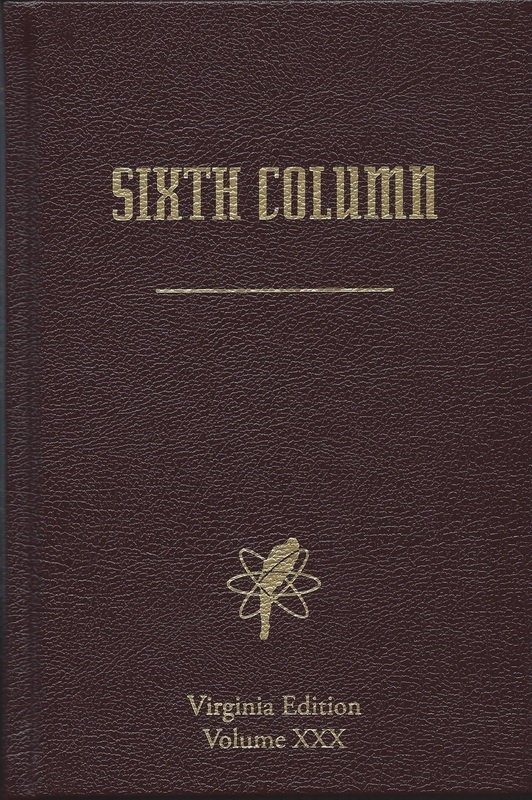 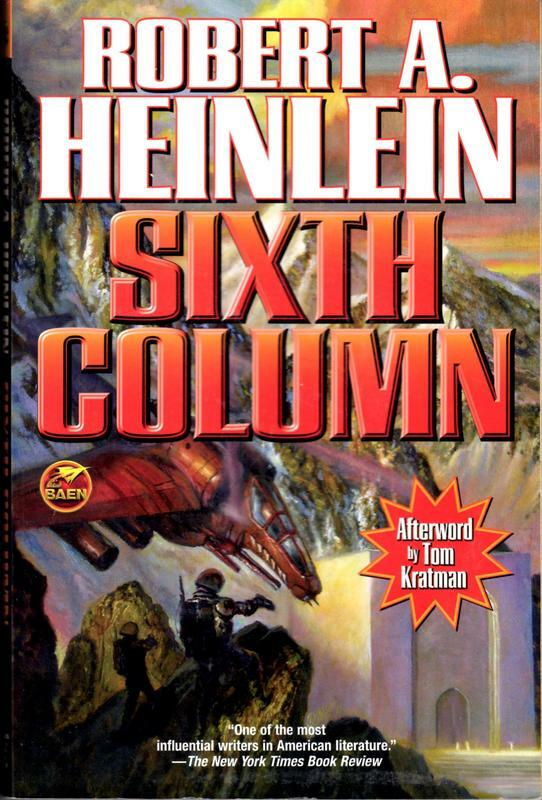 Sixth Column first came out in January, February, and March 1941 in Astounding Science-Fiction. 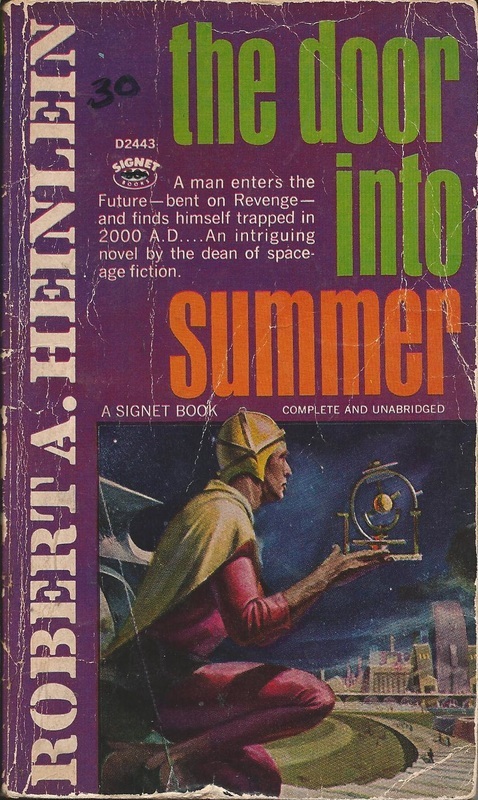 To see the covers by Hubert Rogers and interiors by Schneeman, see my “Pulp Magazines” page. 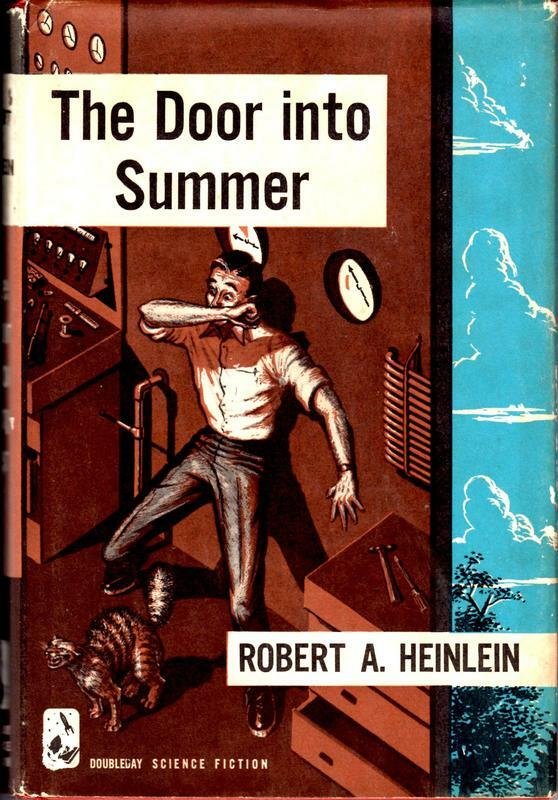 Not exactly a compelling cover—maybe it once had a dust jacket?—but it definitely is a nice vintage copy. 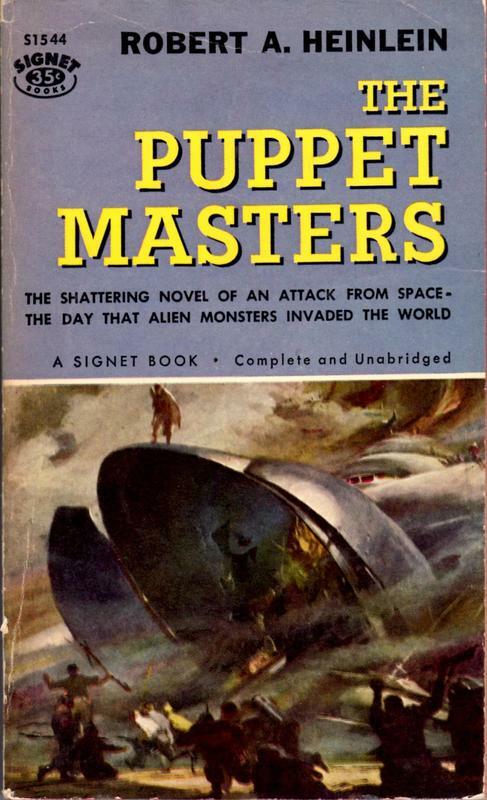 For some nifty covers and a pile of interiors by Don Sibley from the first release of ​The Puppet Masters in Galaxy in September, October, and November 1951, see my “Serializations” page. 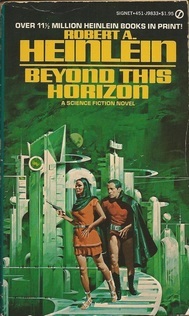 I like the way this gorgeous purple painting wraps around the spine and back cover. 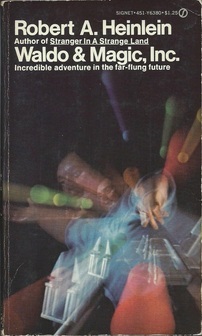 Unfortunately this old copy is far too fragile for me to open it up for a single scan.